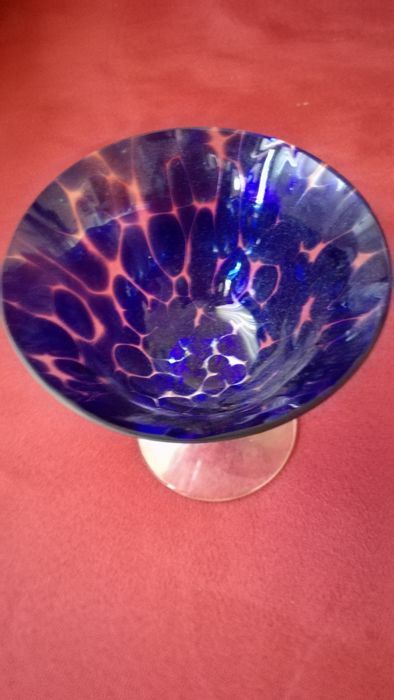 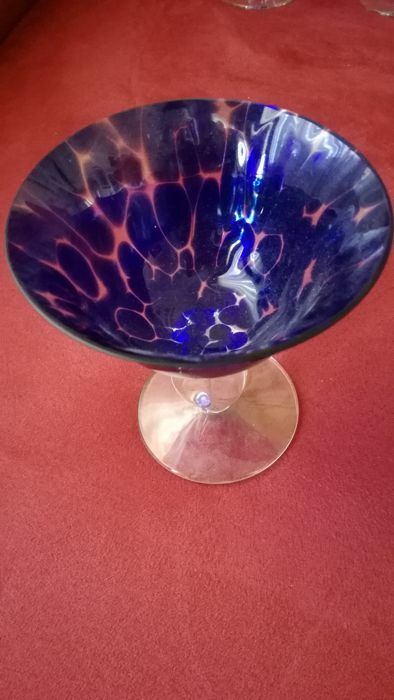 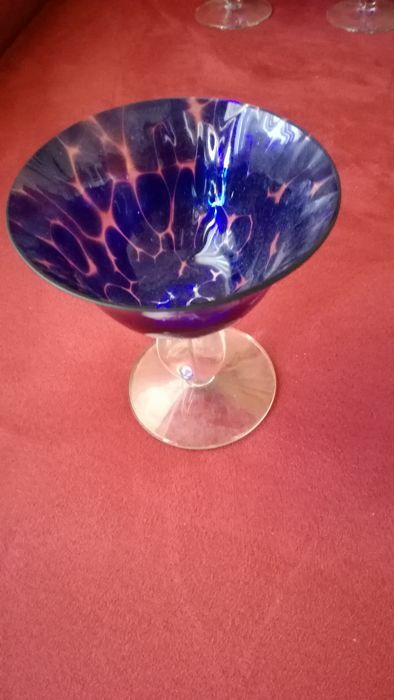 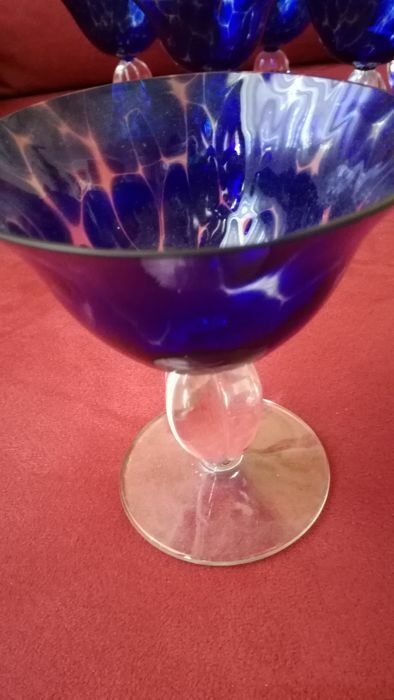 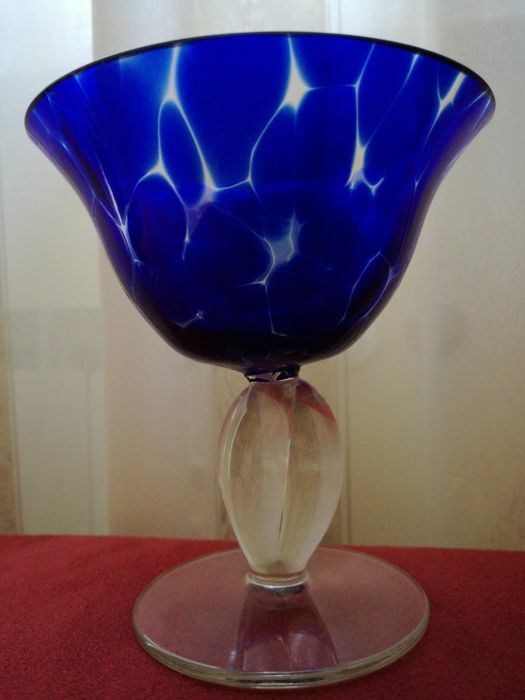 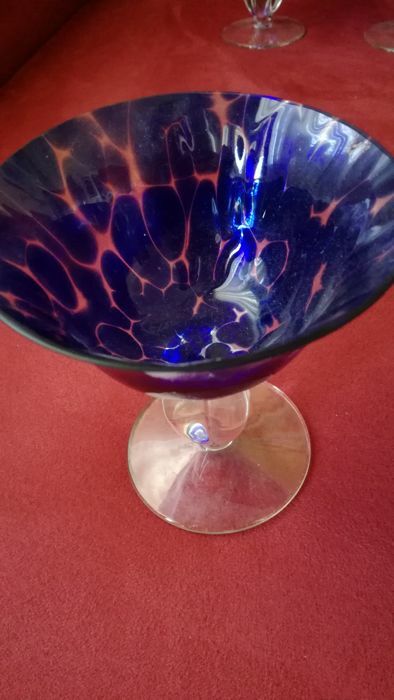 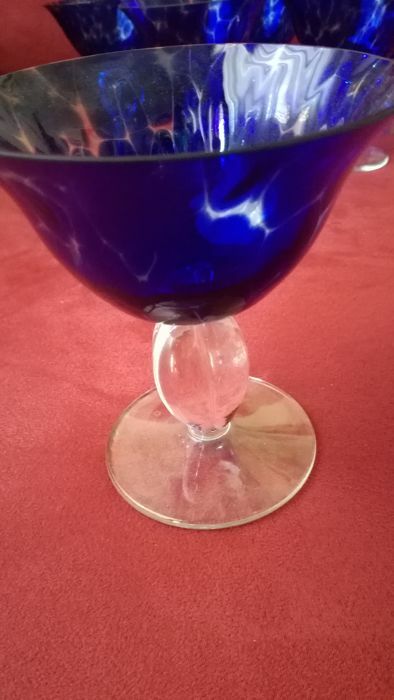 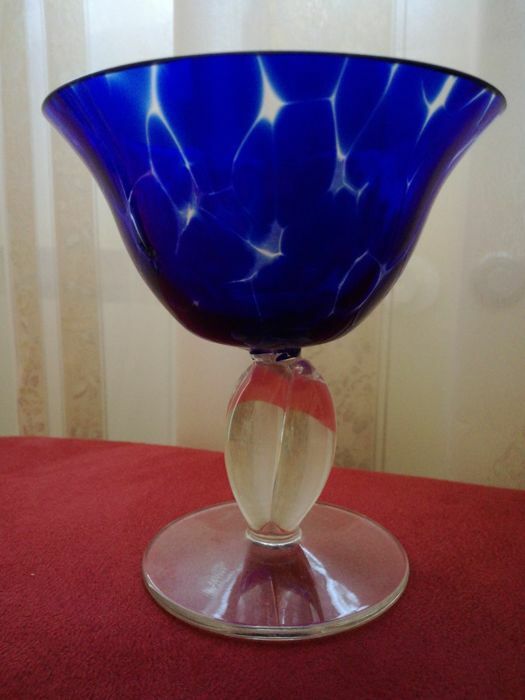 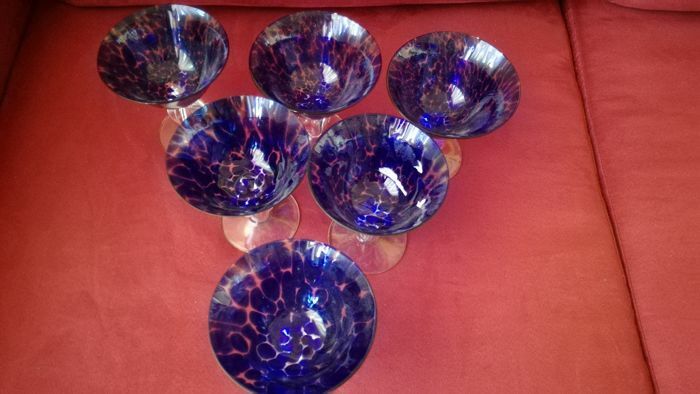 Beautiful glasses made by master glassmakers of Murano dating back to the first half of the twentieth century. 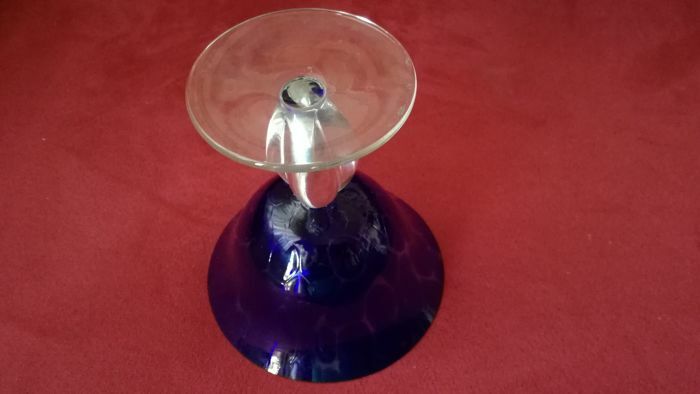 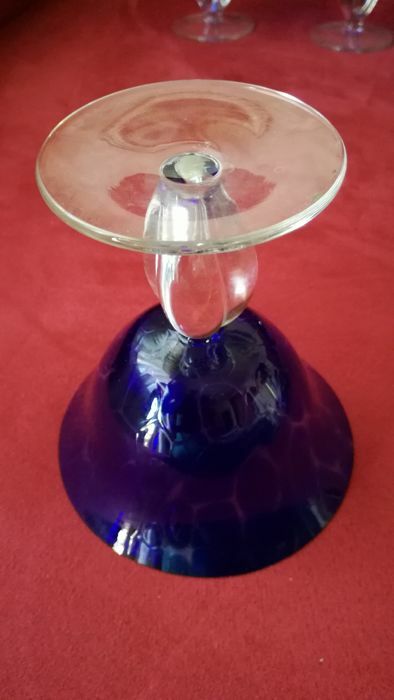 Cylindrical and wide glass with a diameter of 11 cm, short stem in the middle with reliefs and circular base with diameter of 8 cm. 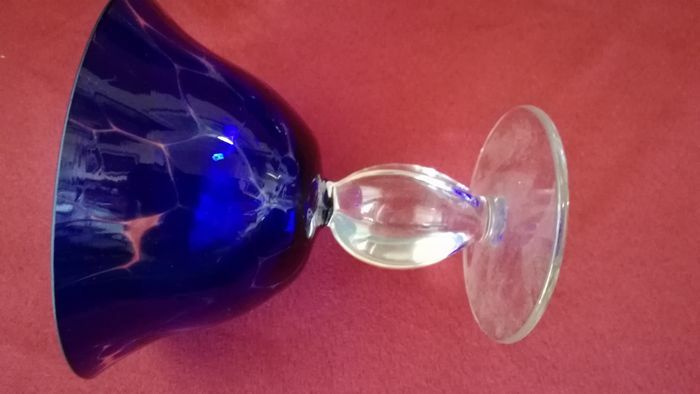 The bottle's extraordinary proportions give it a particularly interesting silhouette. 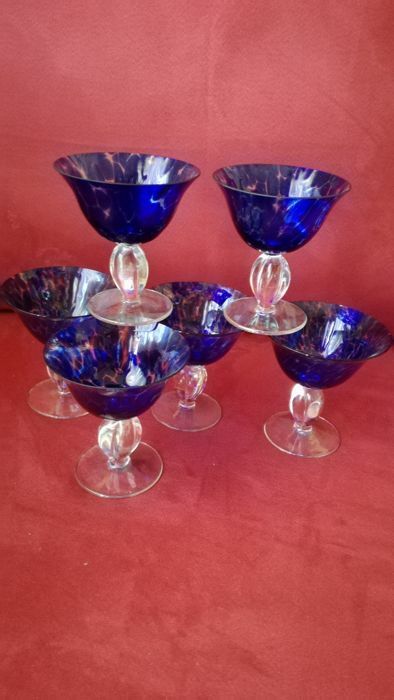 Decorative collectable Venetian goblets for decoration or as precious tableware.